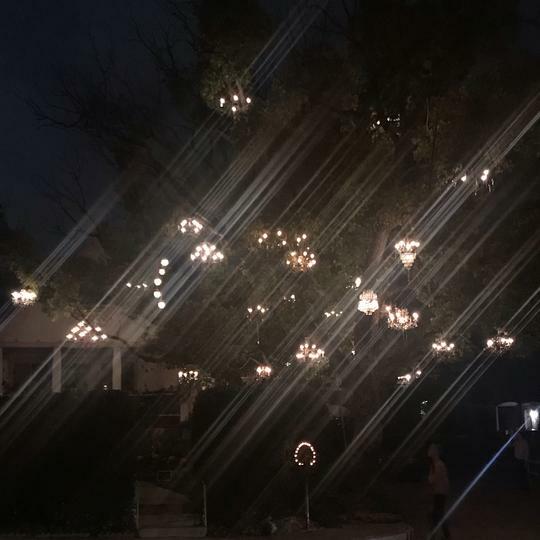 ----- UPDATE: The Chandelier Tree is temporarily closed because of permitting issues ----- The Chandelier Tree is the perfect spot for lovers on Valentine's Day but you may have to share it with a few other googly-eyed couples. 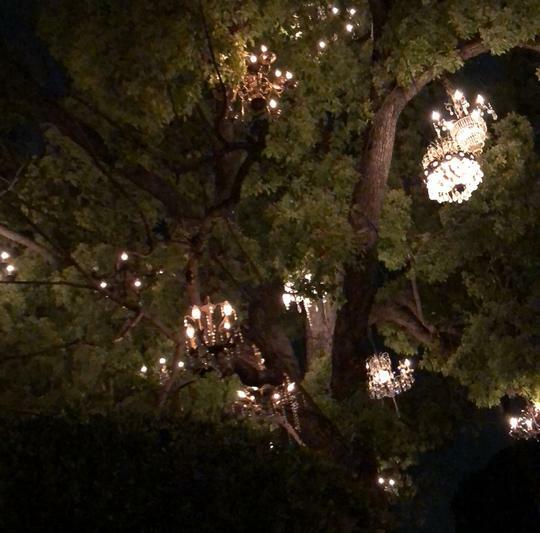 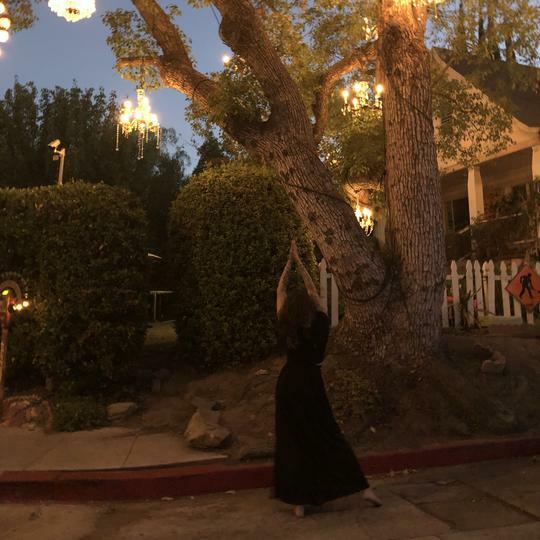 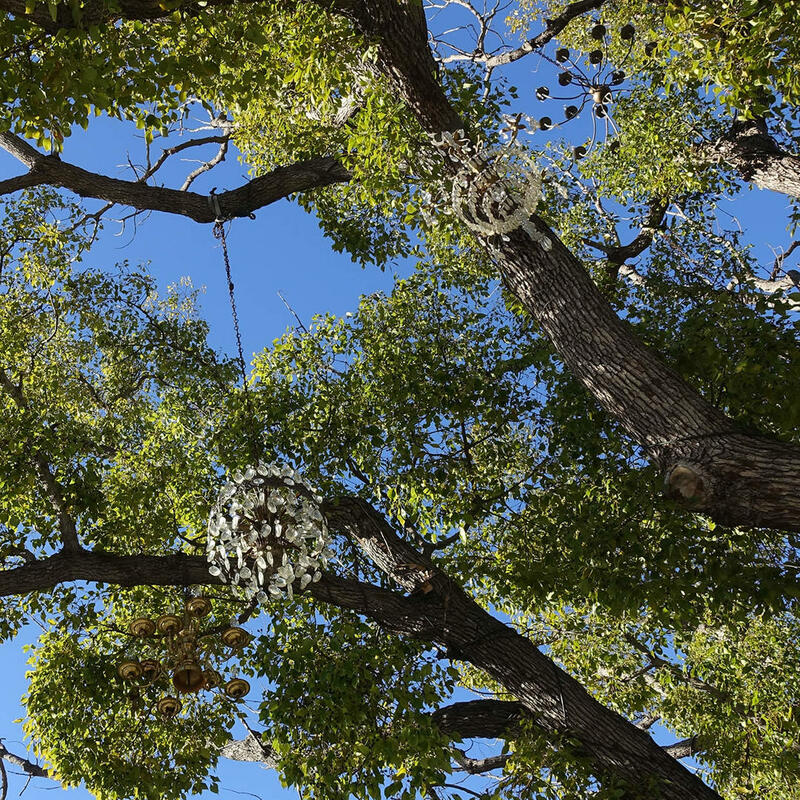 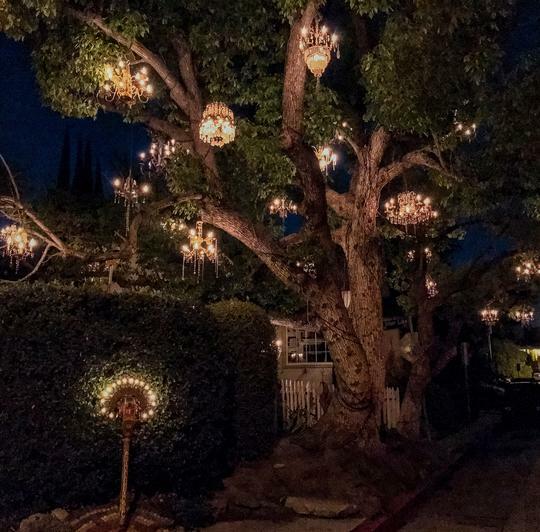 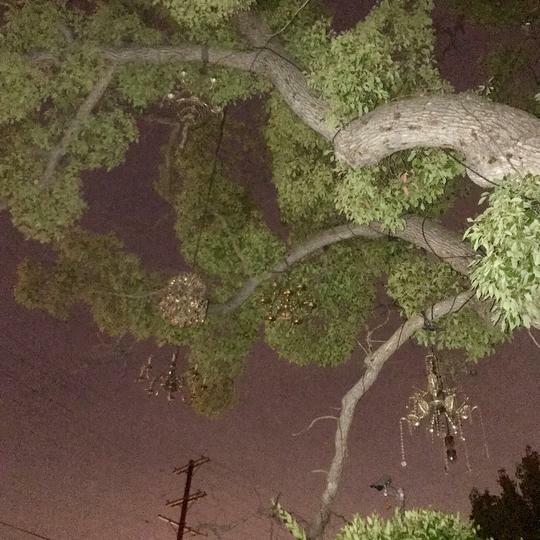 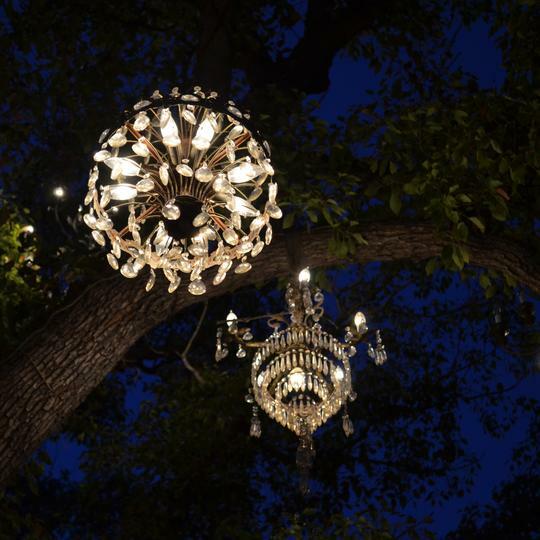 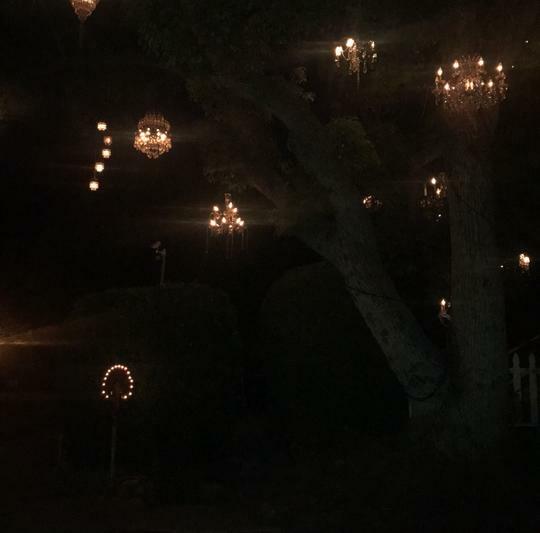 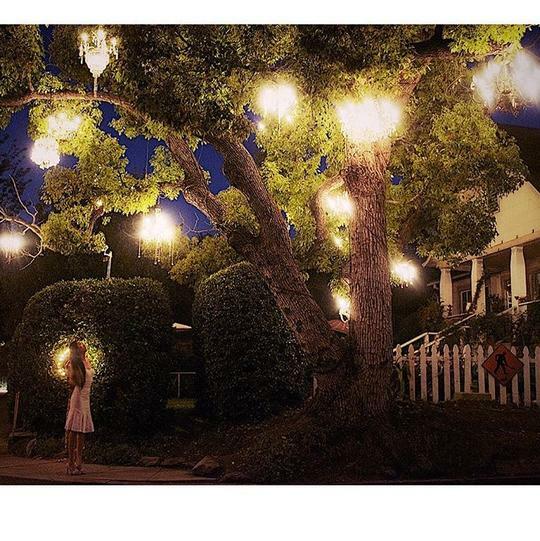 The tree is in the front yard of a private residence, whose inhabitants decorated it with lovely chandeliers. 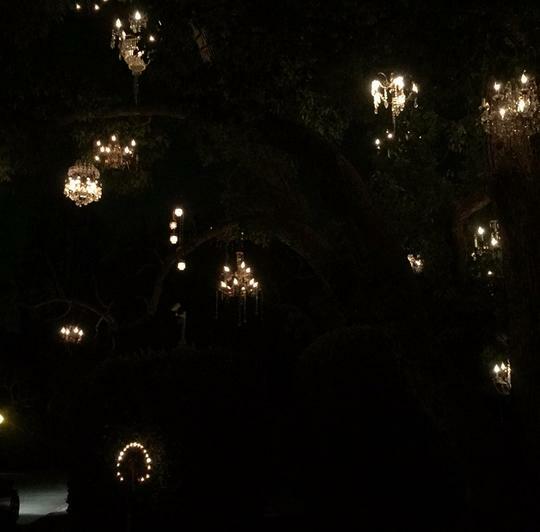 The effect is magical and romantic. 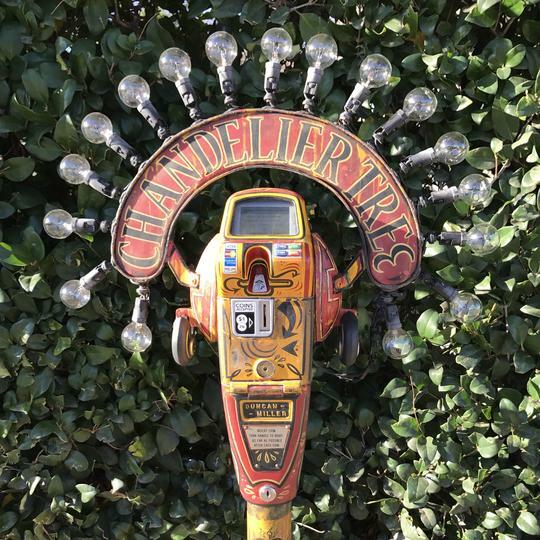 It does run on electricity, though, so bring a few dollars with you to help them pay the bill!